It's been that kind of a week. It's been that kind of a month. Having been through so much, we both needed a break--from reality. Reality these days is not so great, between our Idiot-in-Chief still being in the White House, shootings at concerts and church services and a terrorist attacking people on a bike path in New York City. I grew up in a world that was a pretty great place. I had hoped it would be the same great place for Collin and any grandchildren I might have in the years to come. Sadly, it isn't. But that's for another post. Last Friday, we got that desperately-needed break. 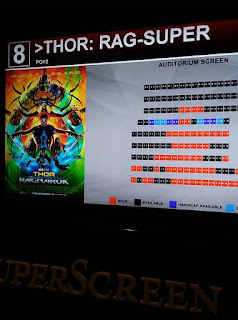 We went to the movies--to see Thor: Ragnarok. We'd both been anxiously awaiting its release, and it did not disappoint--in fact, it was better than my expectations. The title might suggest a grimmer story than it is. It's got a lot of laughs. It's in some ways a buddy movie focused on Thor (Chris Hemsworth) and Bruce Banner, aka The Hulk (Mark Ruffalo), once they get that initial beatdown out of the way. 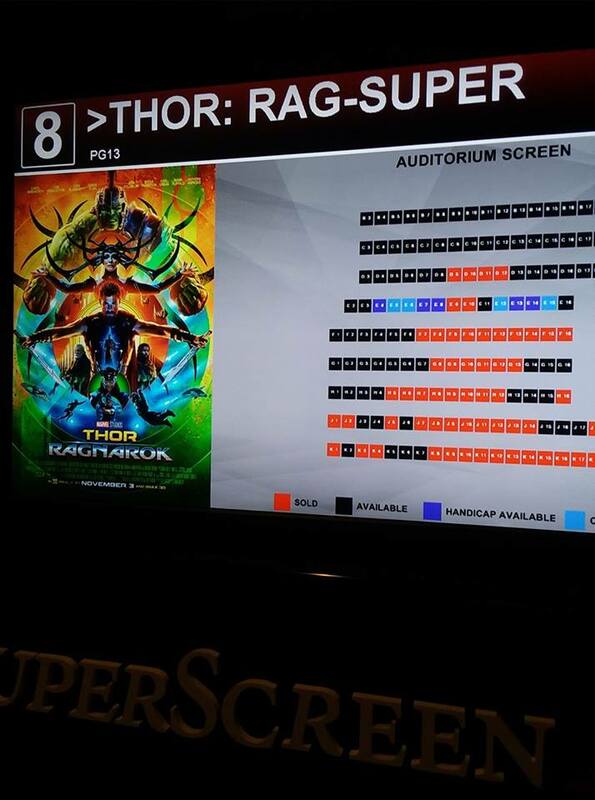 This movie explains a lot of what took place in the two previous Thor movies (I always wondered why Odin (Anthony Hopkins), particularly why Odin was so tough on Thor and his adopted brother Loki (Tom Hiddleston). By the way, Loki is no longer the black sheep of Odin's family. Loki's actions were nothing compared to those of their long-lost sister, Hela (Cate Blanchett). I've known a lot of dysfunctional families, but Odin's family is far and away the most dysfunctional--but then, they've had thousands of years to build up all that nastiness. I'll be posting my full review at Rotten Tomatoes later this week. After the movie, we headed over to TGI Fridays for lunch. 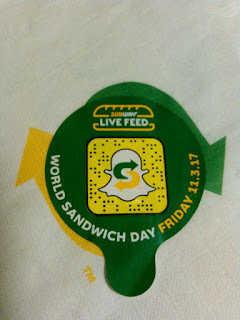 And since that day was World Sandwich Day and Subway was offering not only a buy-one-get-one-free deal. they were also making a contribution to Feeding America, we picked up subs for dinner. Any day I don't have to cook is a good day for me! 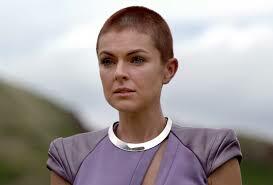 Oh, and one more thing: for months now, I've been entertaining the idea of getting a buzz cut. I was on the fence at first for a number of reasons. I didn't want to look butch. I didn't want anyone to think I was trying to turn into a guy or something. And I always thought that while it's a look that works great for some women, I don't have the face or bone structure for an almost-hairless look. I didn't want anyone to think I'm sick, either. On the other hand, my hair is baby-fine and has always been a pain in the backside, no matter how I wore it. I always wear a hat or a cap when I go out. In winter, I couldn't wear a knit cap because it did bizarre things to my baby-fine fluff. When we went to get our haircuts last week, I decided to take the plunge. Even so, the stylist was hesitant. She stood behind me, razor in hand. I'm worried the estrogen blocker I have to take for five years will turn me into a man so I know what you mean. Bet you look very cute because, now everyone will notice your eyes. Yep. Now I have to wear makeup! I did let one friend see it--I took my cap off at Taco Bell--and she managed not to cringe. A lot less maintenance now with a buzz cut! There was a world sandwich day? 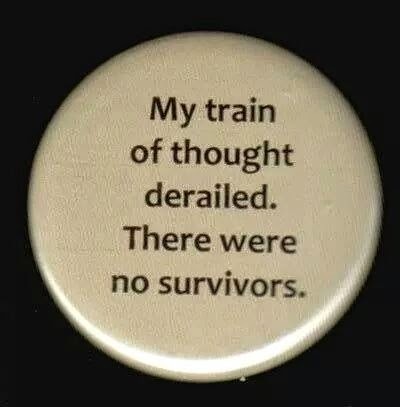 There was indeed! It was last Friday. The buzz cut is very comfortable. Low maintenance, no hat hair when I take my cap off. I don't have to wash it every day. It's liberating! The peek of the movie looks great and fun. Thor is a bit dense I love it. I like the idea if your buzz cut, why not ? your body your hair. I cut my hair have for many years. I chop it short so it fluffs it up like I have hair. With my hips and weight gain I would look like a Pyramid ! I can od look like that now. Meds are a huge pain ! Now I may consider dying it a fun color. Purple, maybe. My husband would divorce me. And I wouldn't be able to wear such a cut as my head is so small I'd look like a pea headed human. But good for you being brave enough. And you know it will grow back if you find yourself going "What did I do?" My mom was short and heavy. The medications she took caused her to lose most of her hair on top, so she grew it out very long and twisted it up high on her head to cover the bald spot. I never saw it down until after her stroke, when it was up to me to take care of that stuff. It looked like a frayed old rope.